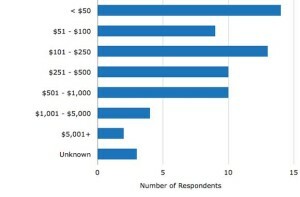 Osterhaus also found that small businesses are spending more on each new hire than larger companies. Since smaller companies or start-ups usually have much tighter budgets, bringing on the talent you need to grow without breaking the bank is crucial for long-term success. Lastly, 84% of the survey respondents were using job boards to promote their openings. 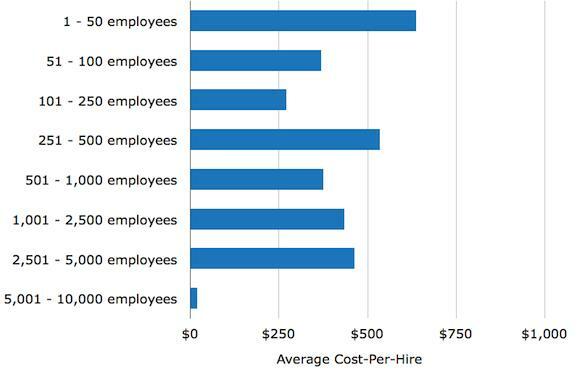 As job board spending increased, so did the average cost-per-hire. 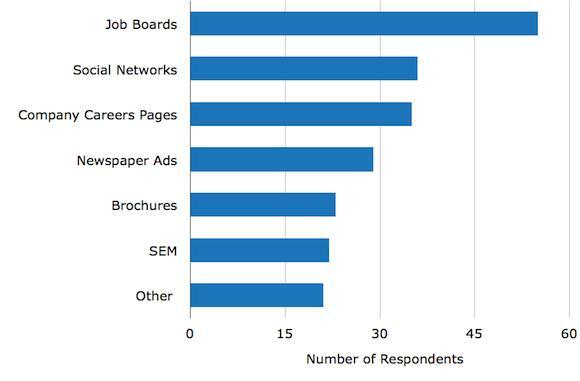 Companies should evaluate the placement of openings on job boards to see which are bringing in the most candidates and which are resulting in new hires. 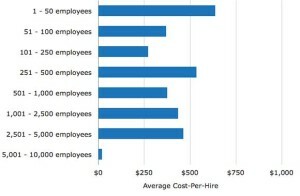 Focusing on the high performing job boards will help lower the average cost-per-hire.